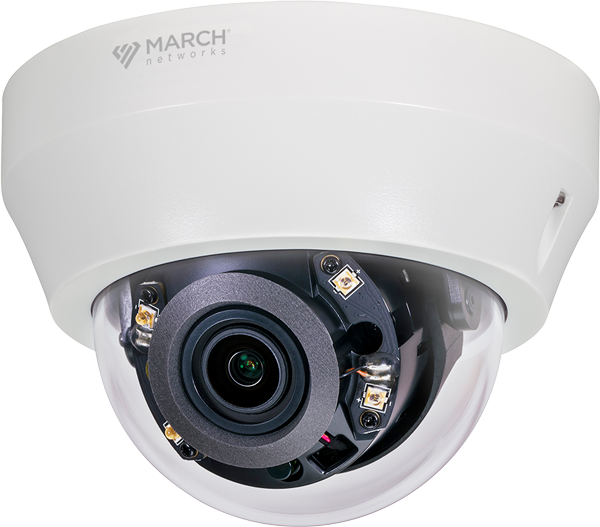 OTTAWA, ON –– March Networks®, a global provider of intelligent IP video solutions, is pleased to introduce its SE2 Series IP Cameras. The new camera line delivers 1080p video and a comprehensive range of advanced features for indoor and outdoor applications. It also incorporates a smart low bit rate (LBR) setting that reduces bandwidth and storage consumption by 50% or more, making the SE2 Series IP cameras a cost-effective option for businesses with dozens or hundreds of surveillance cameras. 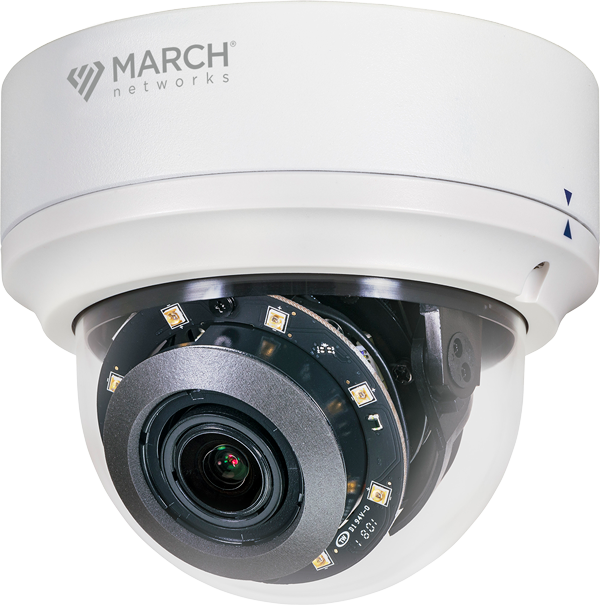 Compatible with all March Networks video recording platforms, including the 8000 Series and 9000 Series video recorders and Command Recording Server (CRS) software, the cameras are also easily managed with powerful March Networks Command™ Enterprise video management software. Command Enterprise enables customers to administer the complete video solution more effectively, and benefit from capabilities such as centralized video management, mass camera management and system health monitoring. The SE2 Series cameras are also compatible with third-party video recording systems via the ONVIF Profile S standard. 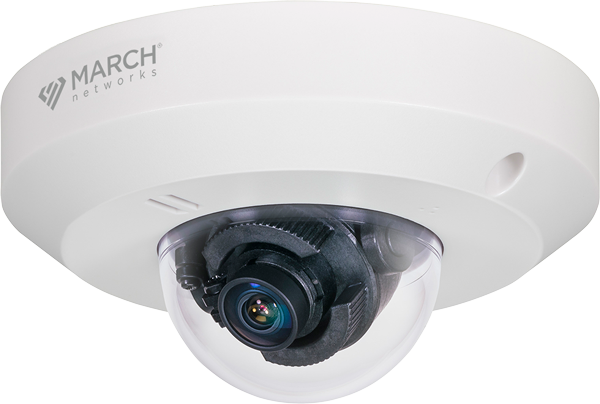 The SE2 Indoor NanoDome, a low-profile dome with an extra-wide, 134-degree field of view (FOV) that enables organizations to monitor an entire area with a single camera. In surface mount applications, all wires terminate inside the camera, eliminating the need for a separate side cable access housing. Other key features include a 3-axis gimbal for simple positioning during installation, and a 90-degree hallway mode rotation to better capture vertically-oriented scenes. The SE2 Indoor IR Dome that ensures high-quality video capture in challenging lighting conditions – including bright sunlight and complete darkness – through a combination of High Dynamic Range (HDR) and integrated infrared (IR) LEDs. The camera also incorporates hallway mode, and helps speed installations with features including remote zoom and focus, and a convenient EMT mount that attaches directly to an unthreaded pipe – ideal for high ceiling installations. The SE2 Outdoor IR Dome, a ruggedized dome protected by a weather-proof (IP66), vandal-resistant (IK10) enclosure to ensure optimum performance in all climates. The camera’s integrated HDR, IR and P-Iris deliver clear, focused video capture in varying lighting and regardless of an object’s distance within its FOV. Similar to the other SE2 models, the camera incorporates hallway mode. It also includes a 3-axis gimbal and remote zoom and focus. For ease-of-service, each SE2 Series camera comes with a unique QR code that technicians can scan with their smartphone or tablet using March Networks’ free GURU Smartphone Application. The combined functionality enables technicians to access product serial numbers, warranty status, video tutorials and product manuals, run installation audits, submit an express RMA and more – saving them valuable time and cost. March Networks, March Networks Command and the March Networks logo are trademarks of March Networks Corporation. Infinova is a trademark of Infinova Corporation. All other trademarks are the property of their respective owners.